Humphreys Signs have been producing High Quality Screen Printed Signs for almost half a century so we do know a thing or two about it. …..It is an industrial printing technique whereby a mesh is used to transfer ink onto many types of media such as Vinyl Stickers, Foamex Signs, Correx (as used in the production of Estate Agent Boards), Banners, & Acrylics – plus many other applications. The mesh is created using state of the art Positive Film Production in conjunction with a ecological photo-reactive emulsion creating a barrier which only allows the ink to flow where it is needed. The ink is pushed through the mesh using a flexible squeegee and no small amount of technique (provided by our experienced printing team). 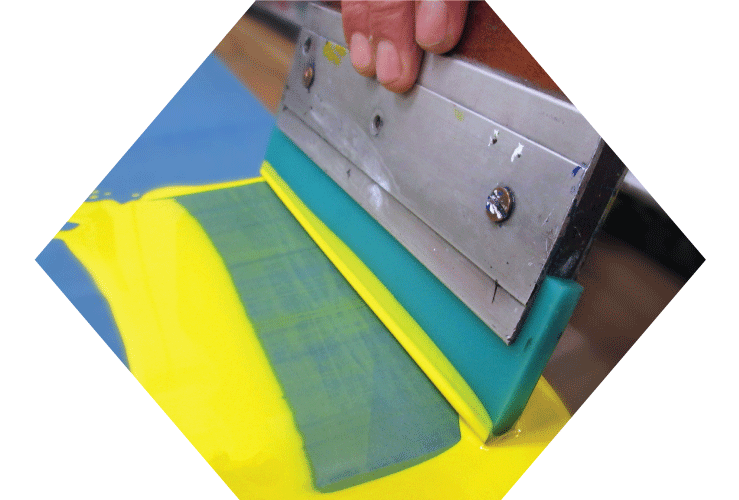 Generally Screen Printing uses spot colours and a Mesh Screen must be created for each spot colour. The cost of the finished board will rely on the number of spot colours, and the quantity of boards required. Due to the set up costs of the screens it is more beneficial to order large quantities, and / or use only 2 or 3 colours. 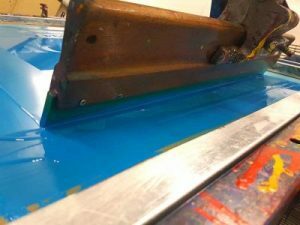 One of the most popular applications for Screen Printing is the production of Estate Agent Boards. These boards are (usually) made from 6mm Correx Panels and printed directly to the panel using the method described above. The finished board will have Vibrant, Long-Lasting colours and, combined with a good design, will be an eye-catching advertisement for your business. We also produce Election Signs for Local, or General Elections for ALL parties – price lists are available on request. Another popular use is Health and Safety Signs for ALL applications – Construction Sites, Office and Factory, Public Places, Food Processing and Restaurants, plus countless more.